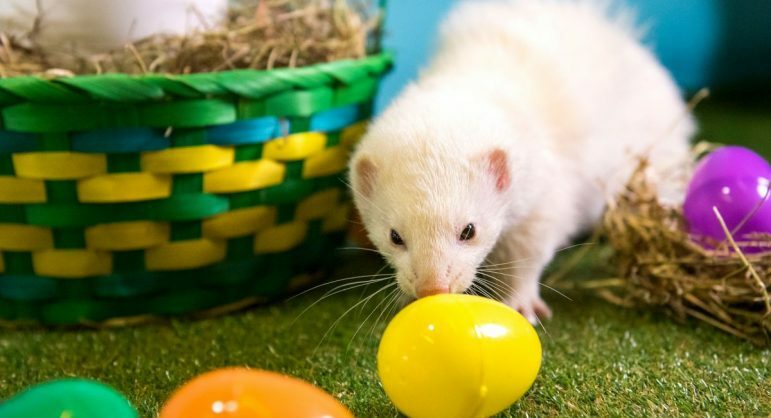 Staff at West Midland Safari Park are gearing up for their annual Easter event and even the animals are getting involved with the celebrations. 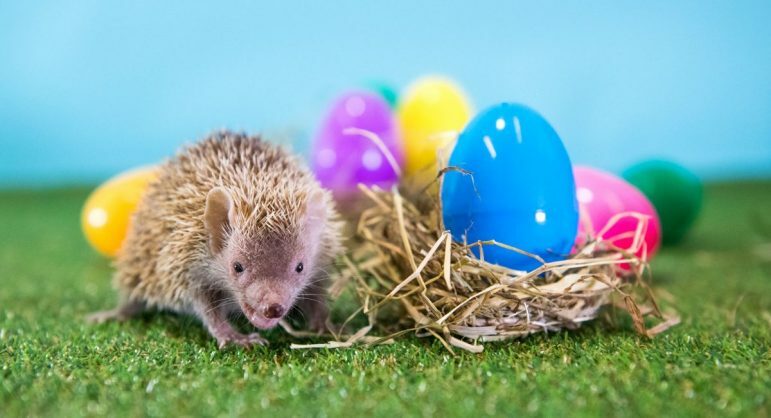 For this year’s Easter Eggstravaganza which starts on 24 March and ends on 15 April, keepers have been tasked with creating Easter-themed enrichment for the smaller animals in their care. 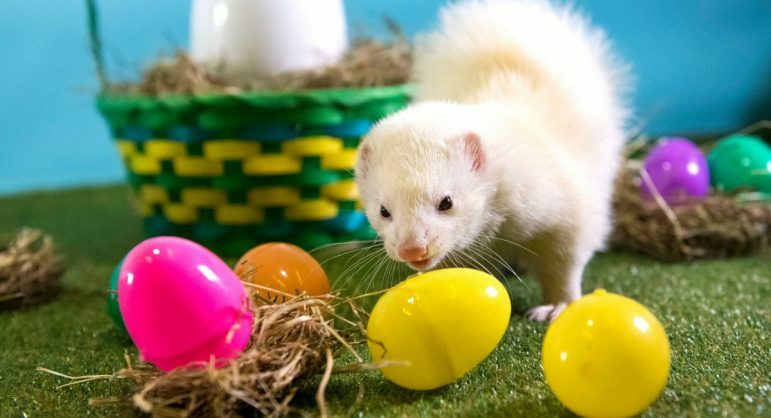 An extremely excitable pair of ferrets thoroughly enjoyed their exploration through the Easter scene, ‘ferreting’ around for spots of cod liver oil that was drizzled over the eggs. The oil is a favourite treat of theirs and ensures they have strong bones and glossy coats. Easter bunny lookalike Julian, also took part in the celebrations and enjoyed hopping amongst the colourful eggs. The cute chinchilla even stopped to munch on the extra hay surrounding the eggs! 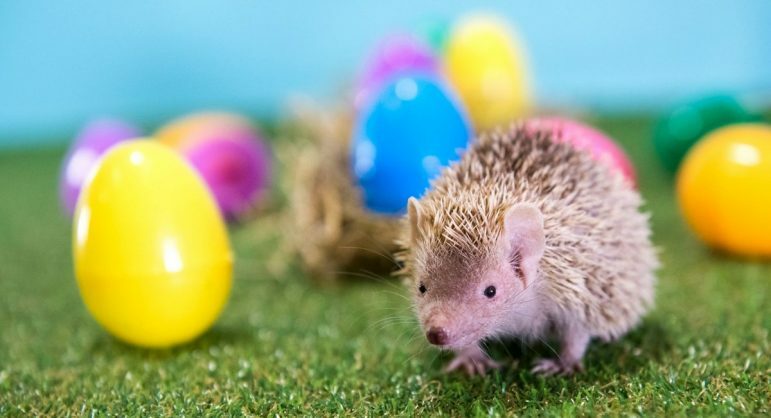 Finally, tiny tenrec Bob had his Easter eggs filled with meal worms as an extra special treat. Small holes in the eggs allowed him to search for the tasty treats, encouraging natural foraging behaviours. 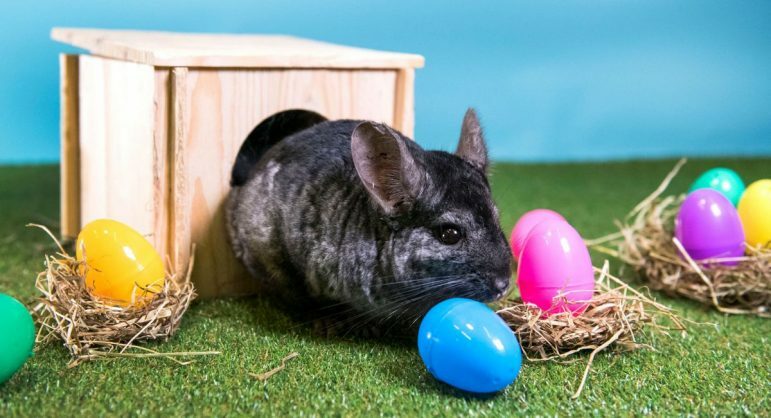 Friendly Animal Encounters will take place throughout the Easter holidays and will feature tenrecs, ferrets and chinchillas, amongst other smaller, friendly creatures. The Encounters are fully interactive, with keepers providing information on the animals’ habitats and diet – there is even the opportunity to stroke them. The three-week-long Easter Eggstravaganza event will include a whole host of exciting activities, such as an Eggsplorer’s Trail to find the giant missing eggs. There will also be an exclusive competition, where guests will need to find the Frozen Egg and upload a picture of themselves with the egg to Facebook. To celebrate the Commonwealth Games, the Park is hosting its very own Easter Commonwealth Games outside the Safari Academy. Guests can compete with the Easter Bunny in egg and spoon races and even attempt to beat him at his own hopping races. Those lucky enough will learn the special Easter Bunny Hop! The Safari Academy will also hold the daily Eggsplorers Craft Club, where guests can make their very own spring flowers, Easter carrot bunting, or a springy bunny rabbit. Easter Eggstravaganza activities are included in the standard admission charge of £24.00 for adults, £19.00 for children aged 3-15 and £22.00 for concessions. Children under the age of three years are admitted free of charge. Admission includes a Free Return Ticket. Adventure Theme Park rides are charged extra.